Ambient assisted living (AAL) technologies are expected to solve a significant number of problems related to elderly care. However, in Japan, limited discourse on the ethical issues concerning their application is hindering the spread of AAL technologies. Against this background, this study explores the ethical perspectives of AAL technology engineers in Japanese companies and the circumstances influencing their perspectives. A qualitative study using semi-structured interviews was conducted. Nineteen Japanese AAL-technology companies were contacted, and nine of them and their engineers responded to the interviews. The contents of the interviews were analyzed with thematic analysis which showed that the engineers had ethical concerns about their products as follows: (1) safety and related conflicts, (2) acceptance of the technology, (3) dependence on the technology, (4) accident liability, (5) fair access to the technologies, and (6) privacy. In relation to these issues, they identified as company employees with regard to the following: responding to social needs, having many users, and cost reduction. They also mentioned being influenced by the Japanese national program for AAL-technology promotion. The engineers experienced dilemmas between the various stakeholders’ interests and they hoped that ethical guidelines for developing AAL technologies would resolve such dilemmas. In conclusion, Japanese AAL-technology engineers tackle ethical issues with regard to the application of their products. The engineers hope for the establishment of guidelines for the ethically responsible development of AAL technologies. The guidelines need to be established and implemented in an interactive manner, in order to avoid their being reduced to a bureaucratic formality. A correction to this article is available online at https://doi.org/10.1007/s41649-019-00074-6. The authors would like to thank all companies and interviewees involved in the survey. We also thank Joshua Wittig and Elizabeth Wade for language editing. JK designed the study in consultation with MK and KK. MK contributed to design of the study and analysis of data. JK carried out the interviews and wrote the initial draft of the manuscript. MK and KK critically examined the results and reviewed the manuscript. All authors approved the final version of the manuscript. This study was approved by the institutional review board of Osaka University Hospital (no. 16081-2, approved on July 5, 2016). Informed consent for research participation and publication of results in academic papers was obtained from all interviewees. British Standard Institution. 2016. Standard highlighting the ethical hazards of robots is published. BSI Press releases. https://www.bsigroup.com/en-GB/about-bsi/media-centre/press-releases/2016/april/-Standard--highlighting-the-ethical-hazards-of-robots-is-published/. Accessed 11 Jan 2018. Ienca, Marcello, Tenzin Wangmo, Fabrice Jotterand, Reto W. Kressig, and Bernice Elger. 2017. Ethical design of intelligent assistive technologies for dementia: A descriptive review. Science and Engineering Ethics. https://doi.org/10.1007/s11948-017-9976-1. Okawa, Yayoi, and Yoji Yamada. 2013. Kaihatsu Konseputo Shito Sakusei no Pointo[in Japanese](the points in filling the developmental concept form). Robotic Devices for Nursing Care Project. Accessed 11 Jan 2018. http://robotcare.jp/wp-content/uploads/2014/01/SG-1-2_development_help.pdf. PESTI. 2015. Robot Shakai no Shouraizou robot × Mirai × Yumebijon [in Japanese](future vision of robots-assisted society: Robots, future, and dream vision). PESTI. Accessed 8 Apr 2017. http://interactive.pesti.jp/robot/. Robotic Devices for Nursing Care Project. 2013. Robotic Care Devices Portal. Robotic devices for nursing care project. Accessed 18 Aug 2017. http://robotcare.jp/. The Cabinet of Japan. (2013). Kaigo robot ni kansuru Tokubetsu-yoronchousa no Gaiyou [in Japanese](the summary of public opinion survey on elderly nursing care robots). The Cabinet of Japan. Accessed 15 Aug 2017. http://survey.gov-online.go.jp/tokubetu/h25/h25-kaigo.pdf. Van Kemenade, Margo A. M., Elly A. Konijn, and Johan F Hoorn. 2015. 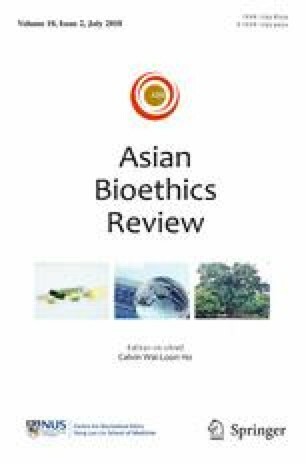 Robots humanize care moral concerns versus witnessed benefits for the elderly, Proceedings of the International Conference on Health Informatics - Volume 1: HEALTHINF, (BIOSTEC 2015). 648–53. https://doi.org/10.5220/0005287706480653. Yamauchi, Shigeru. 2013. Robotto Kaihatsu ni Kakawaru Rinri Mondai[in Japanese](ethical issues in relation to development of robotics). National Rehabilitation Center for Persons with Disabilities. Accessed 11 Jan 2018. http://www.rehab.go.jp/ri/event/assist/papers/14.pdf. Zajicek, Mary. 2001. Special Interface requirements for older adults. Proceedings of the 2001 ECNSF Workshop on Universal Accessibility of Ubiquitous Computing 60–65. https://doi.org/10.1145/564542.564543.